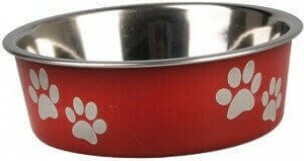 Stainless steel bowl that is easy to clean. Simply remove the ring-slip rubber before putting the dish in the dishwasher. 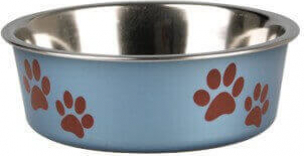 The pretty Bella bowl has a dog paw pattern is available in red or blue.